Do you need your garbage disposal repaired or replaced in your Costa Mesa home? Call us today at (949) 371-8413 for all of repair, maintenance and installation needs. Garbage disposals are often not appreciated until they stop working properly. When serious issues like clogging and mechanical breakdown occur, it is necessary to call a plumbing contractor. Trust our Costa Mesa garbage disposal repair experts to get your disposal system working right! Our skilled technicians will arrive at your home as scheduled and will review the situation with your disposal & make any recommendations on repairs. In some cases it may be more cost-effective to replace an old unit with a brand new unit, rather than trying to come up with older parts that are expensive and hard to find. 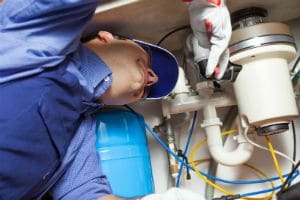 We pride ourselves on providing the quality of garbage disposal repair Costa Mesa residents will be extremely satisfied with and recommend to their friends needing a good plumber. Put our 15+ years of Costa Mesa garbage disposal installation experience to the test and call us at (949) 371-8413 to schedule an appointment today. Situated approximately 45 minutes southeast of Los Angeles, Costa Mesa is a mere mile from the Oceanside. Although initially known as a farming community, the city has since expended into a thriving city with several forms of entertainment for both young and old. If it’s relaxation you’re after, why not take the family for a leisurely walk along the San Clemente Pier? Families who are looking for something totally out of the ordinary can head over to The Lab Anti-Mall and enjoy the wide range of restaurants, cafes and indoor and outdoor retail stands. There is also the Pacific Symphony for music lovers, situated at 685 Town Center Drive in the Renee and Henry Segerstom Concert Hall. Several beaches are easily accessible from Costa Mesa as well, including Newport Beach Pier, Huntington Beach State Park, The Wedge and Balboa Pier. Everyone can also enjoy various city tours.